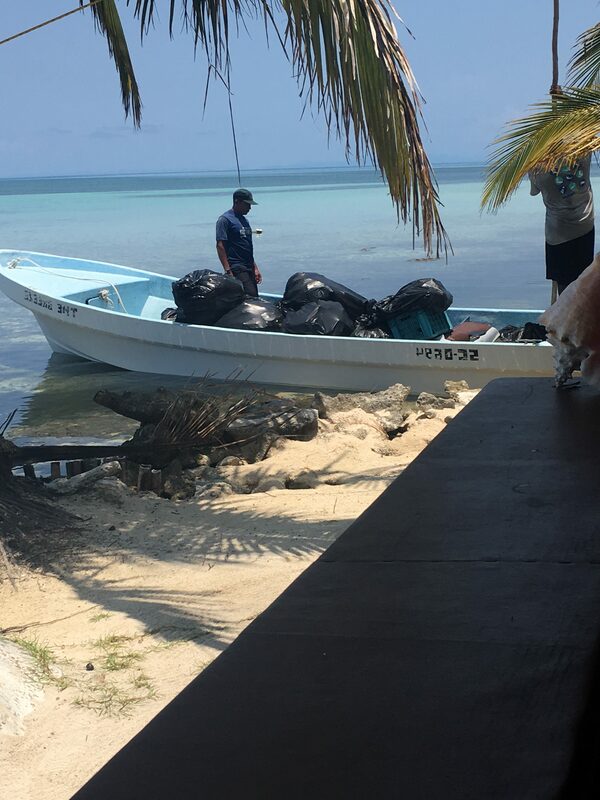 International Tourism in Belize – Today was Earth Day, so we went out on the reef and helped to clean up some of the garbage that has gotten stuck with the coral. In just 30 minutes we managed to collect 15 large bags full of garbage, and that was only in 100 metres of a much longer reef. It felt good to help remove at least a little bit of the problem, but it showed me just how big an issue this is. It was hard to look around and see all that junk and not feel shame that this is our fault. It was a big learning moment for me to realize that something has to be done about this, because the amount of garbage that’s ending up in our oceans is terrifying to think about. As well as the damaging effect that it’s having on marine life is gross. Also, because of the heat in Belize, most things had turned brittle, so we would go to pick it up and it would break into much smaller pieces that were nearly impossible to completely clean up. Learning to stand-up paddle board has always been a personal goal for me, and I was super excited when we were able to take some time during the day to go out on our own. Something like this is just something I want to add to the list of things I can do. Both for personal and professional reasons, my goal is to do as many random things as possible, because everything can result in skills/ knowledge that could be worth something to an employer. In the case of using the paddle boards, when we first got in the water with them, the one I had didn’t have a fin to make it easier to maneuver, so it wasn’t easy to steer with it. But for me, rather than picking a board that would have been easier, I stuck with the one that was going to be more of a challenge because I wanted to prove to myself that even though it was harder I was still able to do it. Something like this when it comes to me being more employable because of this trip, would be that I did things that were more challenging, so I’m not afraid to work hard for something that I want.